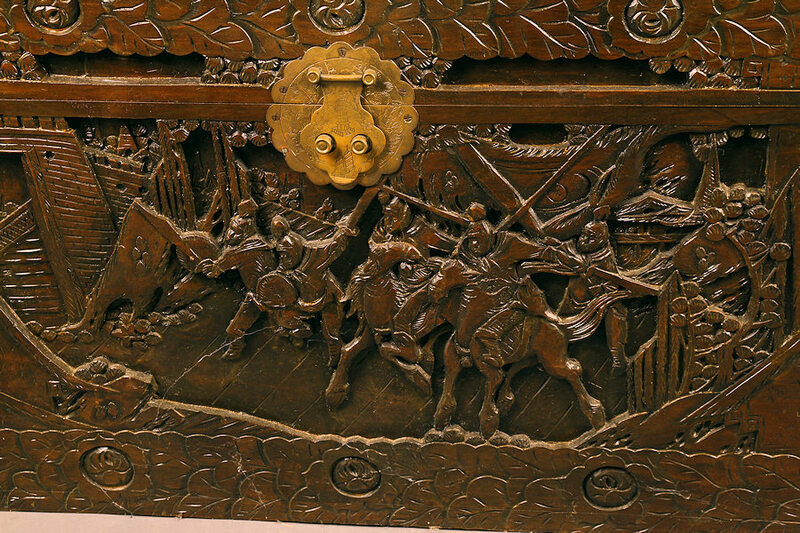 Nicely carved Chinese tea cest in Camphorwood.Nicely carved Chinese tea cest in Camphorwood. 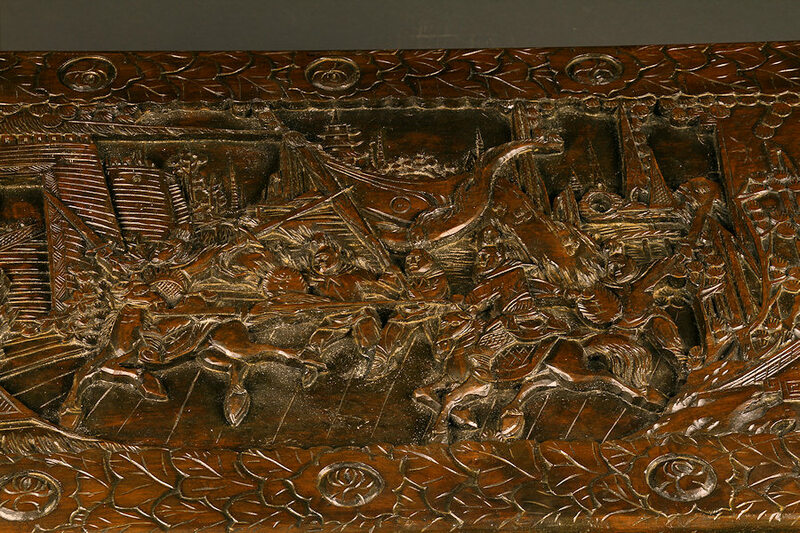 Nicely carved Chinese tea cest in Camphorwood. 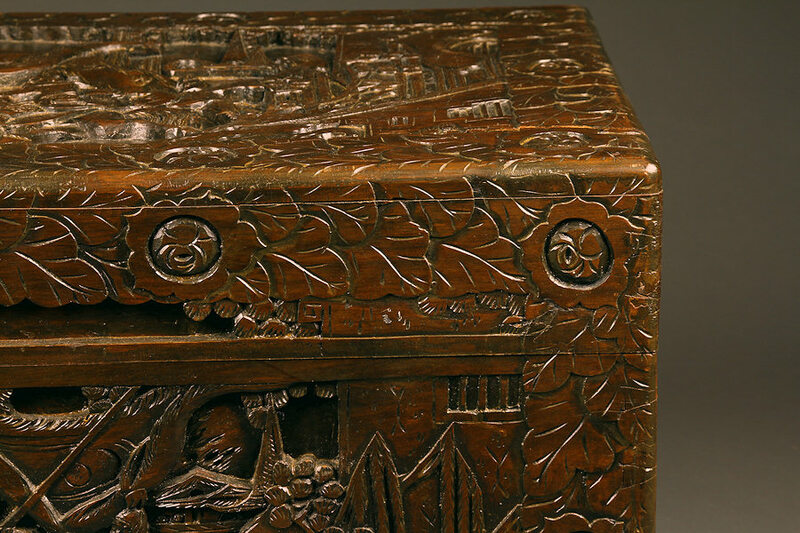 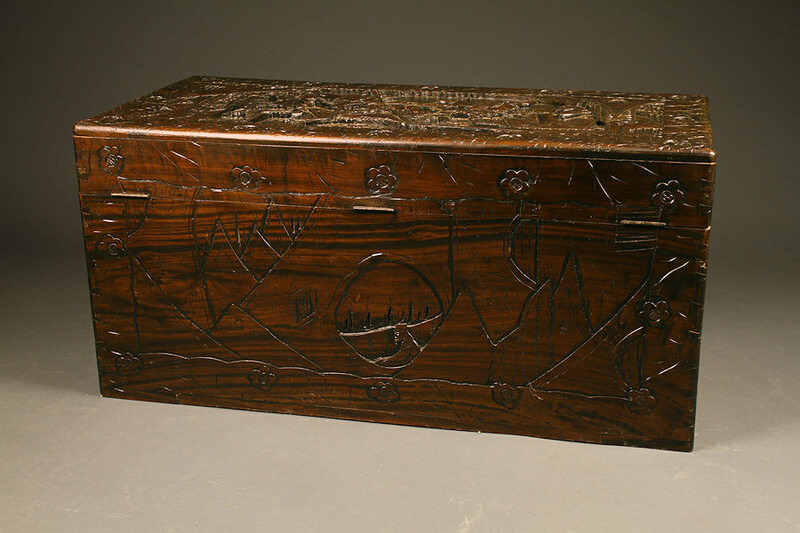 Nicely carved Chinese tea cest in Camphorwood, circa 1920-30. 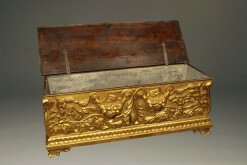 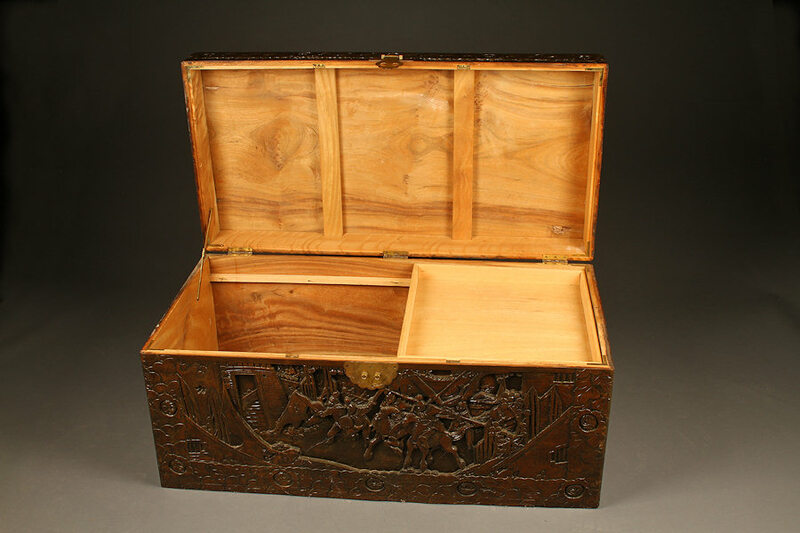 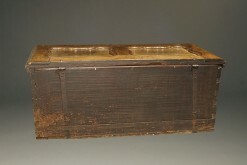 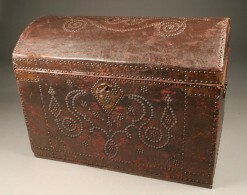 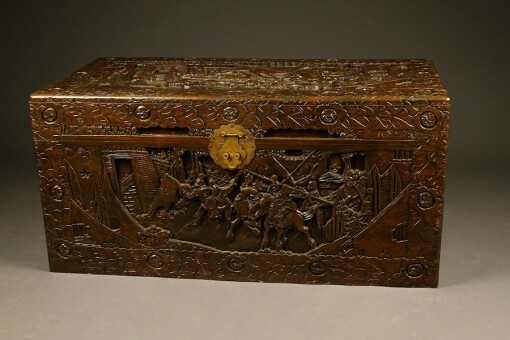 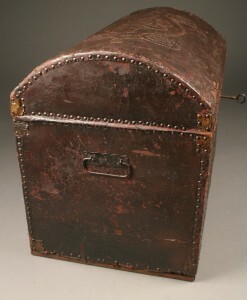 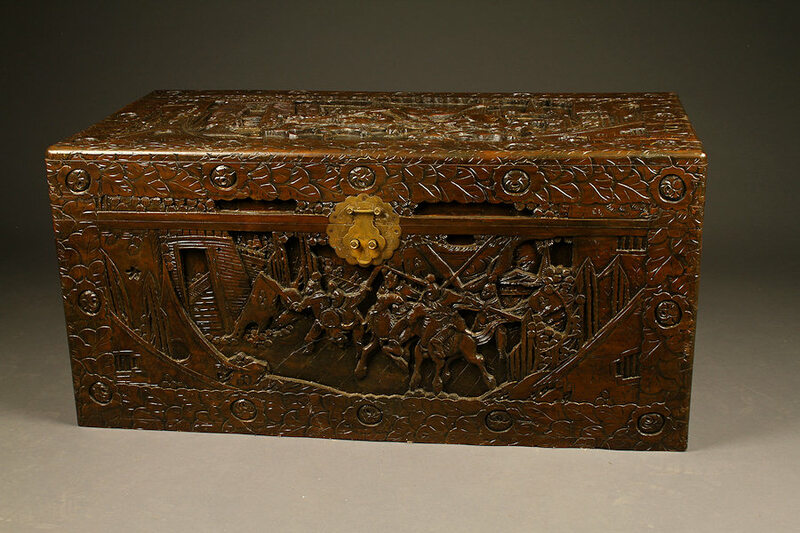 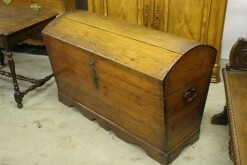 19th century leather covered coffer with brass studs. 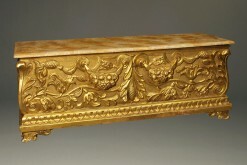 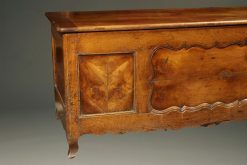 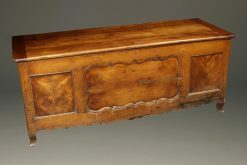 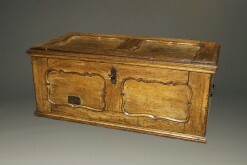 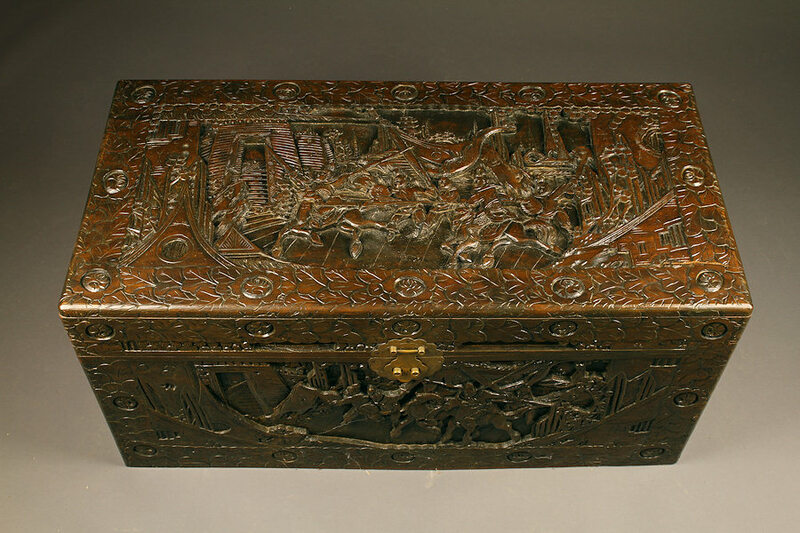 Large French coffer from Provence.